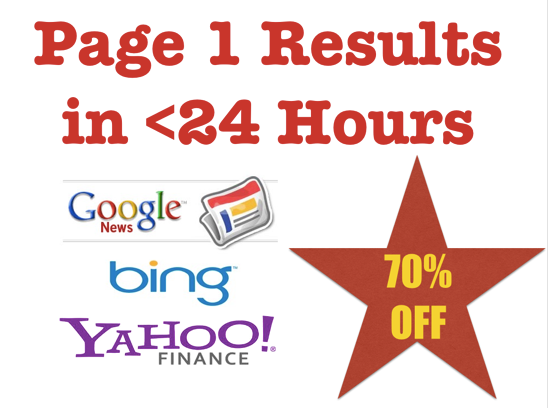 Want to be featured on Google News & get PAGE 1 search results for your long tail keywords in 24 hours? We will write a newsworthy article and distribute your Press Release to Google News, plus 200+ Premium Authority Links, including Bing News, ABC, NBC, FOX, CBS and Marketplace, as well as hundreds of major local news outlets that will syndicate your content! Plus, add the "video" extra below and get your Youtube video featured in your press release! Once your press release is released for distribution, as a result of syndication and backlinks from high authority news websites, you will start to rank on Page 1 of Google's search results for the longtail keywords in your press release title in as little as 1 hour, and at most 24 - 48 hours! That Get You or Your Clients Seen! News organizations are professional, and if they can't print your news as a front-page story, it doesn't belong (and won't be accepted) in a press release. We are partnered with both PressCable and PressAdvantage. 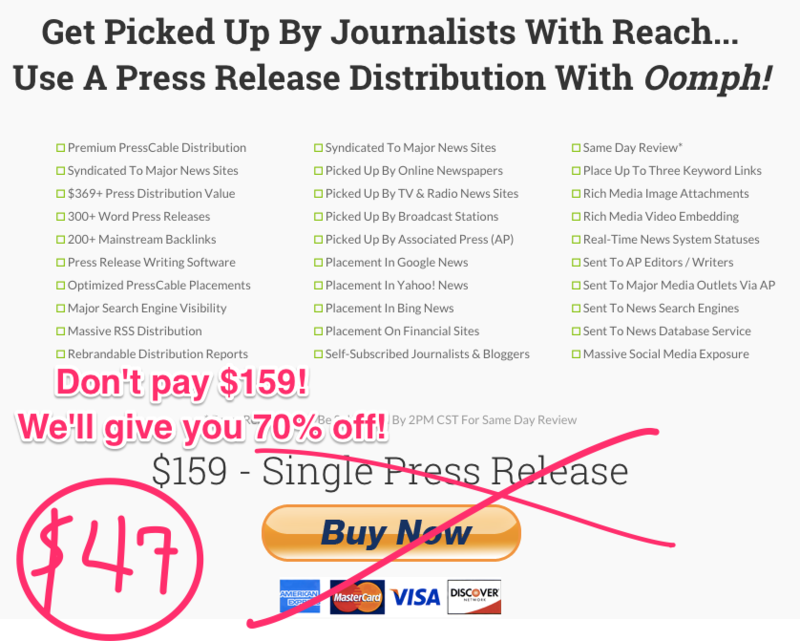 People buy the same distribution service you're getting for $159, all day, every day and that's if they write the press releases themselves! To have the press releases written for you would typically add an additional $100 - $300 per press release! Welcome. This is Leo. I am one of those "5-9" people who is attempting to make a living online. I've been doing this for 8+ years now and has a wide range of experience mean, the ups and downs of success and failure in this industry. I specialize in SEO, build niche websites and affiliate marketing.